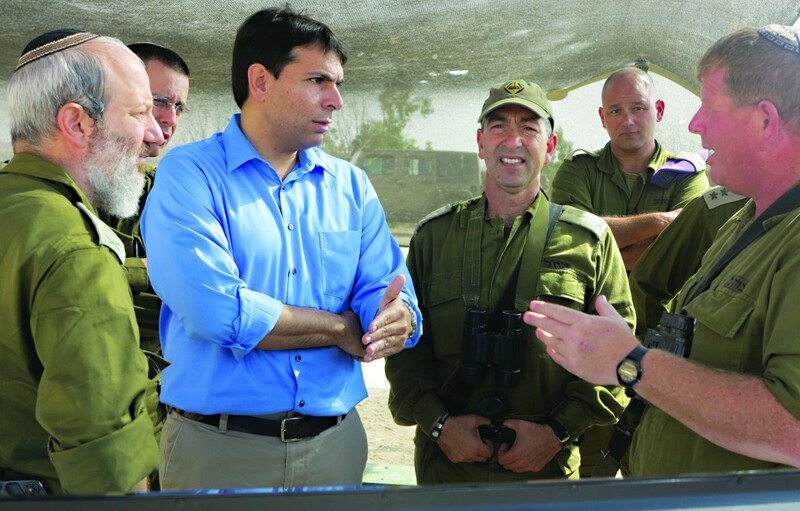 Deputy Defense Minister Danny Danon discusses the reserves drill he just observed with IDF officers. Hamodia:The Netanyahu administration had very sharp criticism of the Iran deal, but that criticism has toned down over the last few days. Is this an acceptance of the reality of the issue, or because you’ve gotten more assurances from the Americans? 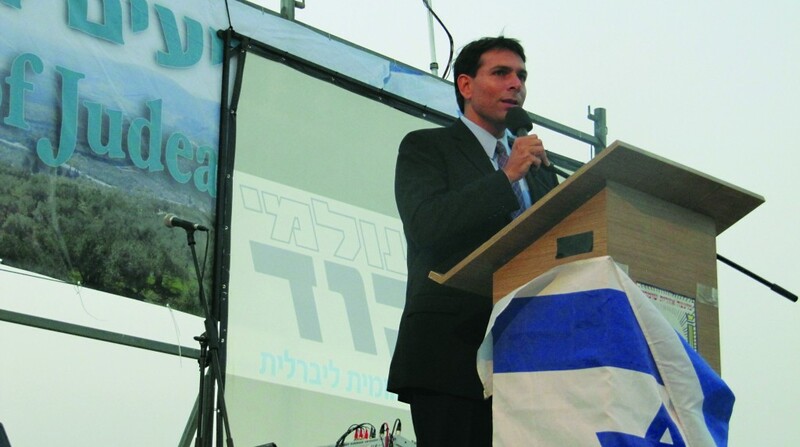 Danny Danon:The reality is still disturbing and we should still be worried about the bad agreement that was signed with Iran. We need to follow what’s happening today in Iran. With all due respect to the U.S. assurances, we live in the region and we have to make sure that there will be no mistake made in the region. H: How would you describe the current relationship between the defense ministry in Israel and the United States government following the tension regarding this Iran deal? D: Well, we have a very good relationship. There is cooperation. But still we can disagree about certain issues, and on this issue, for example, we completely disagree. H: What type of deal were you hoping for? D: I think it should have been the goal to follow what’s happening in Syria and demand that Iran would completely stop making uranium and stop the race completely, and [remove] whatever they have [produced] so far. But this is the only way to ensure they will not be at a jumping point to a nuclear bomb. H: Now that a temporary agreement has been reached, there are six months of negotiations coming up. How closely is the United States consulting with Israel at this point and going forward? D: There’s a special delegation from Israel’s top security experts now in Washington discussing certain issues with the Americans. And there is good cooperation. But I want to remind you that Israel did not sign the agreement and we do keep all options on the table. H: How hopeful are you that the final agreement will be something more positive? D: I hope that the people in Washington will wake up and understand that the Iranians are fooling them and that the interim agreement will not become a final agreement. H: You are currently the deputy defense minister. What are your personal goals within the government coalition? D: My goals are to make sure the prime minister stays loyal to the values of the people of Israel. And with all the pressure that is being put on him by Washington and internally, to make sure he stays on the right side. H: Are you referring to the construction in Yehudah and Shomron? D: Yes. Also in regard to the pressure to sign an interim agreement with the Palestinians. H: Do you think it is feasible that the current negotiations will produce an agreement with the Palestinians? D: No, I think it’s not feasible to [end] the conflict by May 2014. I think it’s too ambitious. That’s why I think the U.S. will try to push for an interim agreement and it will be bad for Israel. H: What’s the best-case scenario that you see for a deal with the Palestinians? D: I think in the near future we will need to manage the conflict, and in the long term … to build a long-term agreement with Jordan and Egypt. H: And what role will the Palestinian Authority have in such an agreement? D: They will be involved in that with Jordan. I don’t think that the people in Judea and Samaria [should be] involved in the agreement with Gaza and the Palestinians there. I see two different entities in the long run. H: And would you agree under any conditions for a Palestinian state in the area of Yehudah and Shomron? D: I’m against a Palestinian state. I think it’s a mistake and I don’t think we want to see an al-Qaida state in our backyard. H: What is the current security cooperation like now with Abbas and the Palestinians in Yehudah and Shomron? D: There is security cooperation, but I have to make it clear that when it comes to the security of Israel, we [can’t] count on subcontractors. H: There has been a report of a Kerry proposal that the Israeli army would stay 10 years in the Jordan Valley and then pull out. Are those reports true? And if yes, what are your thoughts about that? D: I also heard about it and I feel very clear that we will not allow the presence of Palestinians in the checkpoints with Jordan. I don’t think the Americans would allow al-Qaida to be in the border control with Mexico or Canada. But this is something which is a red line for me and I think for the majority of Israelis. H: How worried are you about the United States pressuring Israel into an agreement that you feel would not be good for the security of Israel? D: Well, you can’t ignore the fact that Secretary Kerry comes to us real often and puts a lot of pressure, so I think that’s something that we have to take into consideration. And yes, we have seen in the past [that] pressure brought the settlement freeze and other bad things in Israel … they will have to be cautious about it. H: Some individuals, even those who are very supportive of the right to build in Yehudah and Shomron, say: “Well, you may have the moral right to do so, but it’s not worth antagonizing the West and getting the United States and other allies all upset over it.” How would you respond to that? D: Well, if you look at the history of Israel, and if we had asked for permission to declare a state or to build a nation, it would never have been possible. We have to do what is good for the Jewish people, period. And then think how we can explain it — not vice versa. H: Do you think it is possible to explain to the West the right to Jewish building within Yehudah and Shomron? D: Yes, I think people are unaware that most of the land in Yehudah and Shomron is vacant. Also, the people have to understand it has nothing to do with the Jewish communities. We don’t have any Jewish community today in Gaza, and see what’s happening there. If we would speak and put the facts on the ground it would make it much easier for us. H: How do you think Israel is doing altogether in communicating its message to the West? D: I think it it is an uphill battle but I think overall, the majority of the Americans will understand that we are representing the values of the American people. And Israel should not be blamed. But still we cannot ignore that we are to keep up with the PR and not to neglect this. H: Let’s talk a little bit about the conflict within Israel. There is a sense that the gulf, the split, between the chareidim and the rest of the population in Israel has never been greater. How worried are you about this ongoing conflict, and what do you think can be done to try to change things? D: Well, I am worried because I see the incitement coming from Lapid’s party against the chareidim. And I feel that they are focused more on making headlines than [on] actually [making] a change. We have to be very clear … that we’re talking about our brothers and sisters, and even those who support seeing them getting more involved with society, we have to understand this has to be done gradually. And whenever I raise the issue about drafting the Arab Israelis, people of the left say it’s complicated, we have to do it with a lot of sensitivity. But when I tell them about the chareidim that it is the same, they do not agree with that. And that’s something I’m fighting, and I told the prime minister that I will not support those initiatives that will be against the chareidim… I love every Jew, whoever he is, and I think the attitude toward the chareidim is something which is unacceptable… I think it’s for the benefit of the chareidim also to be more [involved] in the world. But the way to achieve it is a different way. It must be gradual. It must be through understanding; through creating many programs that there will be options to choose from. I meet many Rabbis on a regular basis, and when I speak with the Rabbis, [I find] you can speak with them and argue with them. You can listen to them. But it’s not something you do unilaterally. H: How hopeful are you that a way will be found out of this current crisis? D: I think it has a lot to do with people within the center, people within Likud who are unhappy about the conflict. H: How interested do you think the prime minister is in trying to prevent this conflict from turning into a major conflagration, a major fire? 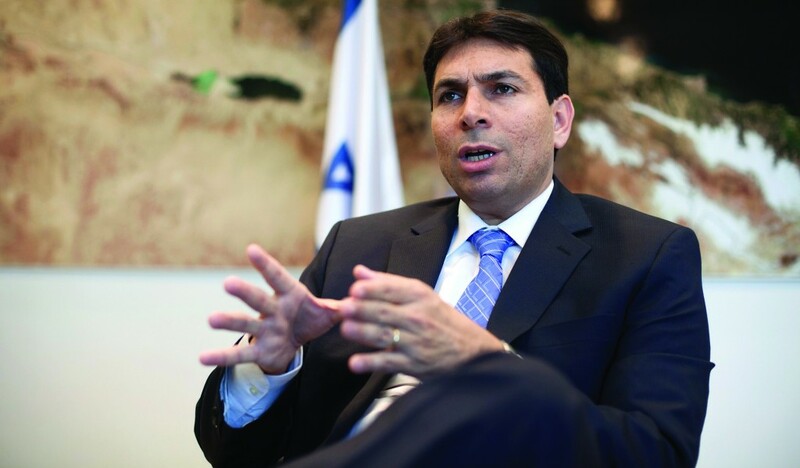 D: I think that the prime minister shares the same general ideas as myself, but when Lapid has 19 seats within the coalition and Tzippi Livni six seats, and Naftali Bennett is on good relations with Lapid, this creates a political problem for him. This article appeared in print on page 16 of the December 25th, 2013 edition of Hamodia.